KPMG’s Global Head of Agribusiness, Ian Proudfoot (below), says conversations about the dairy industry’s future have “changed dramatically in the last year”. Leaders were also focused on the emergence of new dairy processing operations - particularly from well-capitalised international companies that have the potential to lure farmers away from their existing co-operative relationships and change the value generated from the New Zealand milk pool permanently. “For the first time, overcapacity in dairy processing was raised as a real risk to the industry,” says Proudfoot. In preparing the Agenda, 104 industry leaders responded to a survey that ranked industry priorities. For the fifth year in a row, improving New Zealand’s biosecurity framework was rated as the number one priority. Leaders suggested that the cost of the Auckland fruit fly response was likely to be many times the incremental cost of funding full border screening. The Minister for Primary Industries announced review of the 2003 Biosecurity Strategy is welcomed as “a prime opportunity to bring some fresh collaborative thinking to biosecurity”, along with a greater focus on managing risks before they reach New Zealand. As the number two priority, leaders ranked the delivery of rural broadband (second equal with food safety). “Now is the time for creative thinking on this issue; before the Government commits the additional $150m it has pledged for follow-on rural broadband investment.” Proudfoot added. New Zealand’s primary sector needs more organisations with the “seven DNA traits of high value Enterprises” to enable it to capture greater value from the food, fibre and timber we produce. KPMG analysis shows the annualised growth in the value of New Zealand’s primary sector exports between 2002 and 2014 was 4.5%. The majority of this was driven by commodity price movements and volume shifts – suggesting little progress has been made in realising value-added growth. “Continuing to rely on commodity price and volume movements is simply not a sound growth strategy,” says Proudfoot. “Many New Zealand companies focus their activities on production and processing activities, which sit at the lower value end of the supply chain,” explains Proudfoot. KPMG estimates the average value returned to the producer’s gate lies between 10%-30% of the final retail value of the product, with the return for many key sectors lying towards the lower end of this range. 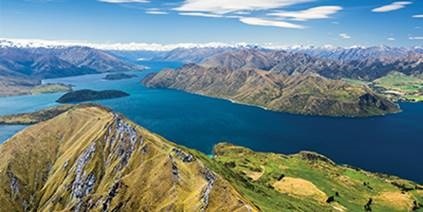 Some New Zealand organisations are already being successful in extracting greater value along the supply chain. Recent KPMG research has identified a number of “DNA traits” that are common to companies showing consistent success in capturing significant value. (Note: these traits are outlined on page 52-55 in the attached Agenda). “If New Zealand is to achieve the Government’s desired export double by 2025, we need more companies that are prepared to change their culture and take on the DNA of a high-value enterprise,” concludes Proudfoot. KPMG warned us about 5-7 years ago that relying on volume was only a short term strategy. They suggested that as offshore production ramped up in the US, Argentina, Europe we would be vulnerable to price pressure. Are there any existing 'high-value' agriculture products in this world that can solely support a countries prosperity? How much value can you actually add into agricultural products? Policy makers in some departments consider infant formula a value add form of dairy products, and a way to go for NZ dairy sector. Are you kidding me? It sounds like there are great tech barriers to turn milk into infant formula. An answer to your second question would be to look at Tatua Dairy Co. I've maintained for a while that part of Fonterras problem is cultural. The two big companies that swallowed up the little ones pre Fonterra carried the commodity culture through while the Bay Milk, Waikato and Tararua type innovators were simply overwhelmed. This culture is most evident today in the form of My Milk, why? Too much cheap money in the world, creating overproduction. What's the point of growing if there's no price? Our region is spending 8.5 million researching irrigation schemes. I think it's a waste of money. Over capacity in the dairy sector will be evident this year, as farmers cull heavily to maintain a cash flow. Sharemilkers are leaving the industry as no money to be made. Aging farmers dropping out of the dairy industry as the workload not worth it. There is going to be a lot less milk around this year coming. Fonterra forward selling on GDT may be foolish as contracts will have to be honoured as the price escalates. Potential for Fonterra getting pinched as the price pushes up could hurt the processor. John Wilson states there is no processor stock piles of product around the world, so all that has been produced has been sold when the Chinese come to the market again it will be interesting.